Start by picking a few types of delicious cheese. I went with a mild, a wild and a standard cheese so that unless someone is lactose intolerant, there’s a cheese to please everyone. I love roquefort but not everyone agrees, most people like brie and nearly every party-goer can appreciate cheddar. Once the cheese types are decided, a few sweet/savory selections must be made. Blueberries for brie. Salami for cheddar. Fig spread for blue cheese. Simple. By the way, my most adored spreadable addition to any cheese plate is this fig spread . Then, I usually select a freshly baked crusty bread. A traditional baguette is my favorite pick for a variety of reasons; it’s far less likely to crumble than crackers, has a mild flavor that complements all of these pairings and looks better on a platter. When it comes to plating, simpler is usually better. Pick a few different shapes and cut and stack in a way that’s neat, but not so precise that people are scared to touch it. If you don’t have an abandoned commercial kitchen from which to select your serving platters, you could always go the more traditional route with some of these beautiful pieces. Looking for even more reliable advice on all platter matters? 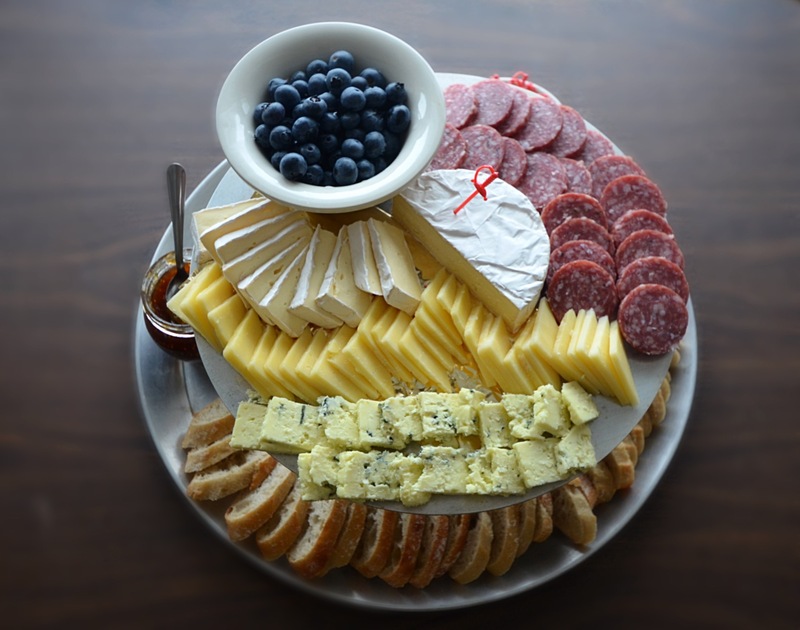 Bon Appetit’s definitive guide to cheese plate creation is quite helpful.